With an IP67 protection rating and stainless steel construction, our 96-key industrial keyboard can last in harsh conditions while providing excellent functionality and efficient data input over extended periods. Factories have challenging elements that can harm commercial-grade components. 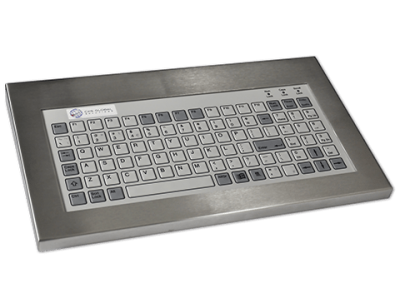 Industrial computing devices such as rugged keyboards have become a standard for this type of application. 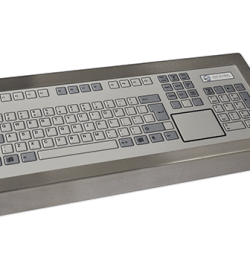 To ensure that our computer peripheral devices are robust, we use a stainless steel (304) construction. 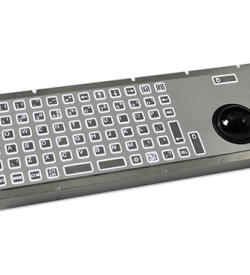 Our 96-key rugged keyboard’s electronic parts are enclose in this type of material. Moreover, with its IP67 rating, wear and chemical resistant polyester overlay, and sealed mechanical keys, made the device ideal for tough applications and suitable for wash down areas. Ruggedised components of our keyboards make it an ideal computer peripheral device. Because of its features, it can be used to optimise operations such as automation in many industries. 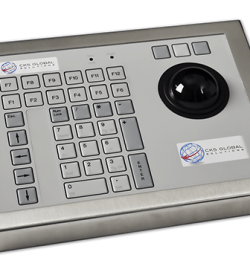 We offer several customisation options including the physical dimensions, case colours, logos, and interface. 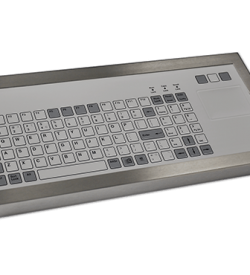 That way, you can build the industrial keyboard to meet your business operational requirements. 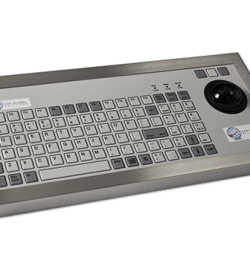 Perfect for facilities with high relative humidity, the device can last in this type of environment where a commercial grade keyboard will break down. 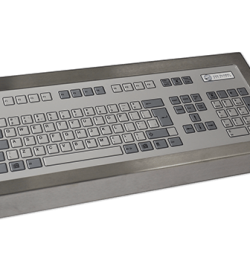 The performance of our rugged keyboards are still optimal even if it exceeded the standard life expectancy of 1 million key operations. 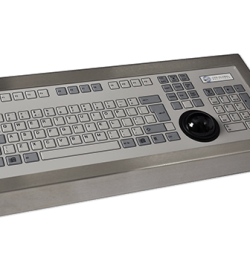 We understand that there are certain conditions to meet for specific hardware needs. 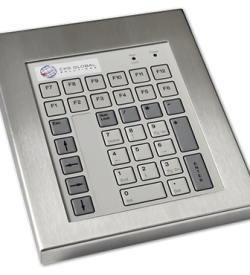 Hence, we offer different interface options for our 96-key industrial keyboard: USB / PS2 / AT / RS232 / RS422 / RS485 / XT/ TTL / DEC / SUN. Moreover, we provide a 3-year warranty standard return which can be extendable to 5 years if required. Our team is dedicated to provide outstanding computing solutions but also support. Many industries have different operational needs to maximise efficiency and productivity. So we can accurately determine the right computing solution to fit your business necessities, simply fill out our product enquiry form. Download our FREE datasheet about the device today or you can also call us at (+44) 01438 747111 for more information. We can answer any further queries about the product and guide you in choosing or customising the device.